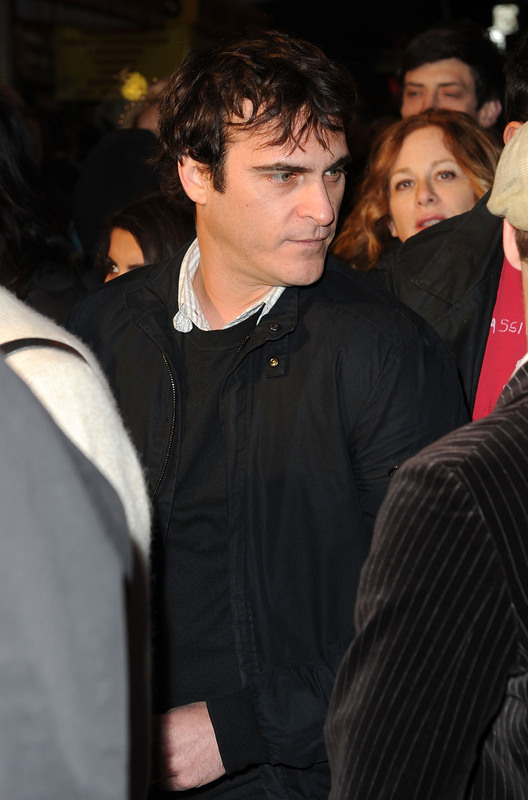 Here's some news that has the potential to be amazing to end your day with: According to Indiewire, both Joaquin Phoenix and Emile Hirsch are being considered to portray John Belushi in a recently revived biopic with The Secret Life of Walter Mitty director Steve Conrad signed on to direct. While as of now there are no frontrunners — the film reportedly doesn't even have any money backing it yet, which means that there's certainly no concrete production schedule in place yet — this is an extremely intriguing thought. Apparently, Hirsch and Workaholics star Adam Devine have both met with Conrad to talk about the part, and Phoenix's name has "surfaced" as a possible contender. While Hirsch resembles Belushi more than Phoenix does — kind of, anyway — it would be amazing if this role actually went to Phoenix. He kills just every role he takes, and Belushi's crazy story would allow for a lot of that dramatic acting Phoenix does so well. And we all know how well Phoenix does biopics of troubled stars: Walk the Line, anyone? This would actually get people to go to the movies. If all goes according to plan, we should know relatively soon: Warner Bros. is said to be behind the film, with a spring 2014 start being eyed as a potential shoot date. Whether or not the movie gets made will all come down to who's starring — so producers are going to want to lock someone in ASAP.